Video by Ray Turner, East Carolina Radio. 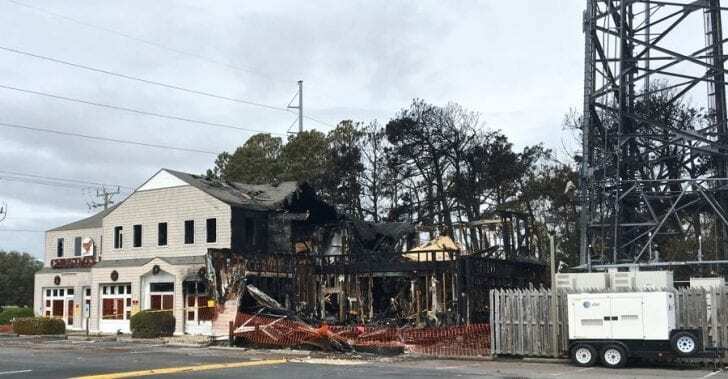 Wind-driven flames spread through the Christmas Mouse in Nags Head Friday, gutting most of the store on the east side of U.S. 158 near Milepost 10. A column of heavy black smoke rose over the area at around 2:30 p.m. before crews from Nags Head and neighboring towns brought the fire under control within an hour. Flames could be seen around a nearby cell phone tower. Firefighters also put out a smoldering brush fire next to the building. The cause of the fire is not yet known. 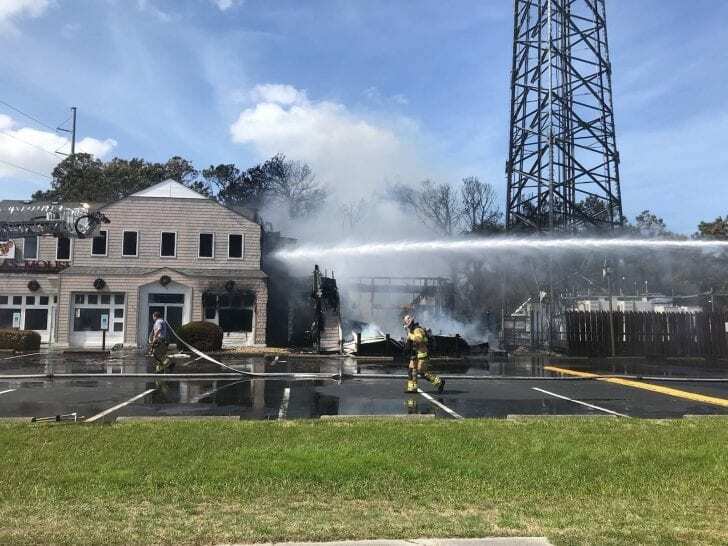 Traffic in the area was quickly re-routed and one northbound lane of the highway has been re-opened, while both southbound lanes were never closed, the town reported at 5:30 p.m. The Christmas Mouse is a chain of stores in Virginia, South Carolina and North Carolina, including Duck. It specializes in Christmas ornaments, decorations and collectables.